EventsTag, a pioneer of experiential technology, recently developed a new gaming mechanic aimed at giving event marketers a tool to giveaway prizes. Social Slots, as they have been named, engages potential winners by having them take photos or post on social media to have a chance to win. 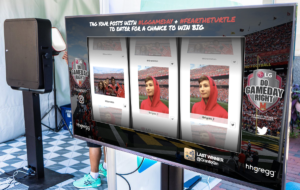 The fun and interactive method was first released in mid 2016 and took a big leap with the #LGGAMEDAY College Football Tour that saw over 2,000 posts, awarded 100 prizes and reached over 60,000 people. “Social slots is a great way to enhance the overall experience for the consumer. It provided added entertainment and a way to connect beyond traditional means,” said Ben Wibly, Account Executive at Advantage who worked with LG for stadium gameday activations at Clemson University, University of Illinois, and University of Maryland. College sporting events are full of brands trying to make an impression, but LG didn’t want to be a part of the clutter. They came to us to help them stand out at the stadium by creating a thrilling consumer experience in their footprint that also provided a digital memento to fans whilst capturing attendee data for lead generation. Now with March Madness upon us, LG is slated to continue their success with Social Slots into the basketball season by bringing the game to the NCAA FInal Four Fan Fest in Phoenix. Regardless of the state of their brackets, fans will be able to post their moments in order to have a chance to win incredible prizes throughout the week long basketball extravaganza. Essentially, Social Slots helps brands both giveaway prizes and engage users with flexibility and ease. Since the initial release, the gaming product has been used by to give away thousands of prizes, at dozens of events, for some of the largest brands in the world. This March EventsTag is rolling out the next major update to the Slots platform, including multiple game types, enhanced visual animations, and a robust prizing management system in order to meet the increasing needs of larger scale campaigns. “Social Slots has been an excellent addition to our product line-up and opens up so many other opportunities with contests, takeaways, and gaming. We see social slots and other social gamification as the future of giveaways because they add value for the brand by generating content and having increased user interaction,” said Dan Strang, CEO at EventsTag. Founded in London in 2012 by CTO Ollie Harridge and CEO Dan Strang, EventsTag is a browser-based live display platform primarily intended for use at events and venues. In 2014, we expandaded our company to have offices over the pond in the U.S. with offices in NYC, LA, and Chicago. From there, we have been able to do much more than a social wall. From our Social Gaming, Hashtag Postcards and Green Screen technology, we work with brands, agencies, and event planners to make sure our clients social media engagements are going through the roof. Event professionals around the world know how hard it is to choose an event app that perfectly fits their objectives. 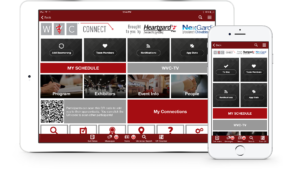 But now veteran event app provider, ShowGizmo, has made it easy with the release of a new product suite with features and enhancements all designed to create more engagement, better event experiences and push the boundaries of technology. 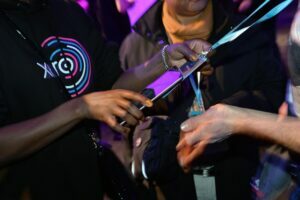 “6 years ago we launched ShowGizmo, a product designed to make events more awesome and help event organizers better connect and create value for their attendees,” said ShowGizmo CEO, Marie-Claire Andrews. “Today we create a platform with an extensive suite of features to suit organizations of every type; from internal teams to associations and one-off events,” she added. A low priced ‘Essentials’ option for single events that need simplicity without compromising on service. The ‘Professional’ platform for the ever increasing base of customers working on engagement all year round, seeking to maintain a conversation with their community alongside their live events. 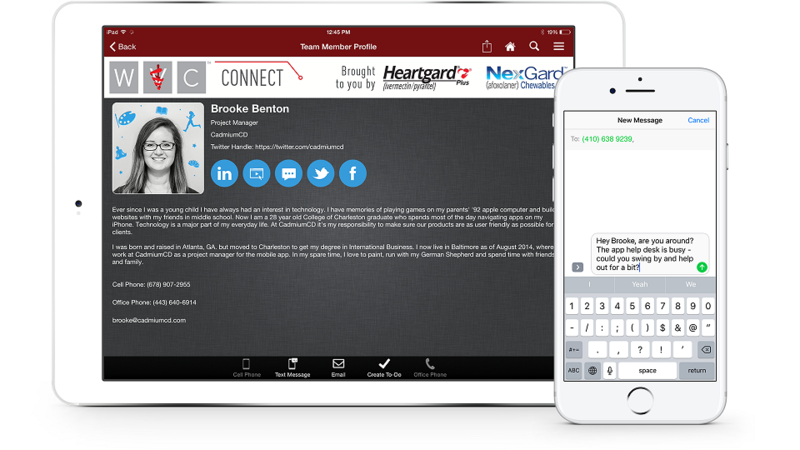 Highlighted feature updates within the suite include the ability for event managers to customize app features themselves, promote upcoming events with an event ‘lobby’ and a digital swag bag. Unlike other event app platforms, the ShowGizmo suite is fully supported by a team of event professionals that work alongside customers to align objectives and ensure maximum ROI. “There’s plenty of basic DIY apps on the market, or simple solutions that bolt-on to registration systems,” said Dott Nemeth, the Melbourne based Customer Success and Production Manager, “but today’s event marketer is looking for proactive assistance to save time and stress – and looking for that to be local”, she adds. ShowGizmo has team members on hand for advice throughout the USA, Australia and New Zealand. 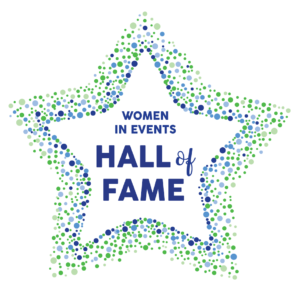 The Association for Women in Events (AWE), a not for profit organization supporting gender equality and diversity in the event industry, has announced its Hall of Fame Recognition Program, hosted by the AWE Awards Committee. The AWE Awards Committee was formed with a vision to create an engaged group of recognized people and programs that exemplify AWE values to serve as an ongoing resource for inspiration, guidance and leadership. 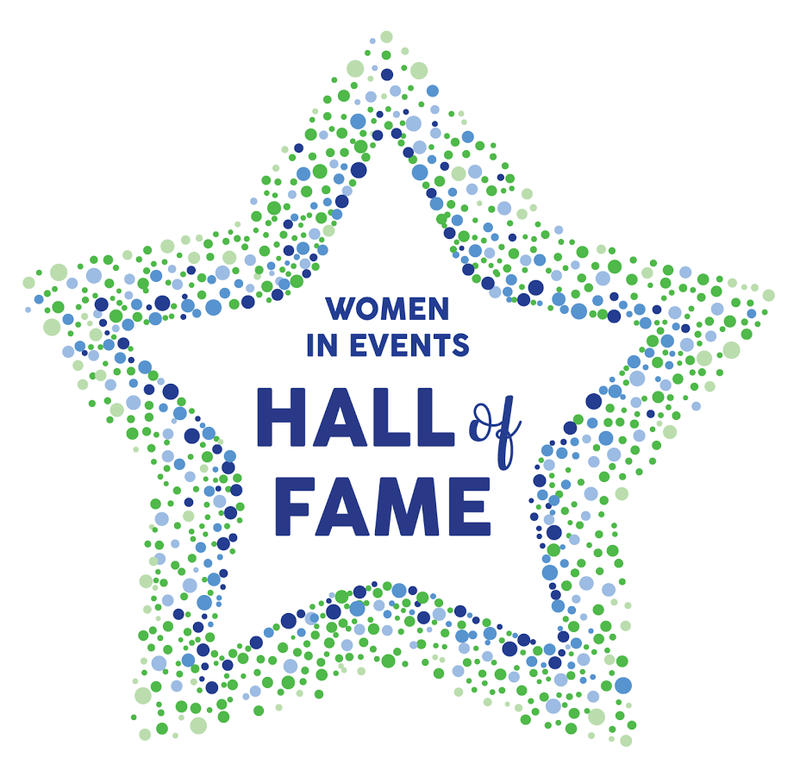 AWE is an inclusive community dedicated to the professional advancement of women in all facets of the events industry. 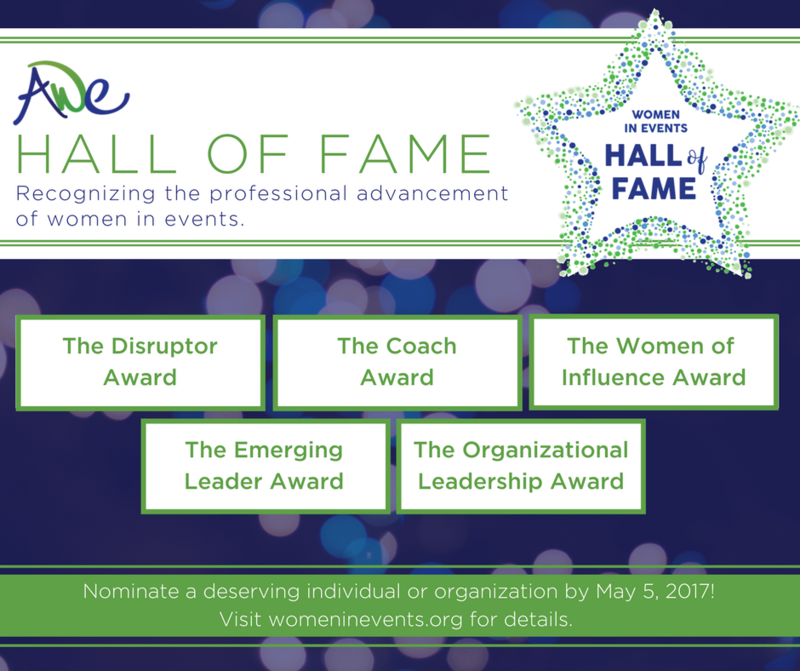 The focus of AWE is to build a strong community where women inspire women, help others and take control of their careers. AWE facilitates the resources and connections to identify professional solutions, mentors and opportunities for women. 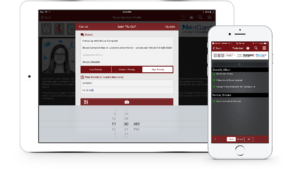 FOREST HILL, Maryland — CadmiumCD today announced an enhanced version of its eventScribe® Conference App, eventScribe Boost™, with breakthrough features that extend beyond the attendee event experience. 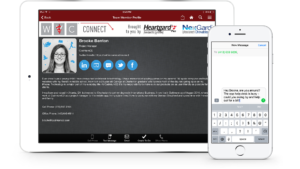 Now, when planners, speakers, or vendors log in to a conference’s eventScribe® App, they can be greeted with alternate content that relate to their specific role. 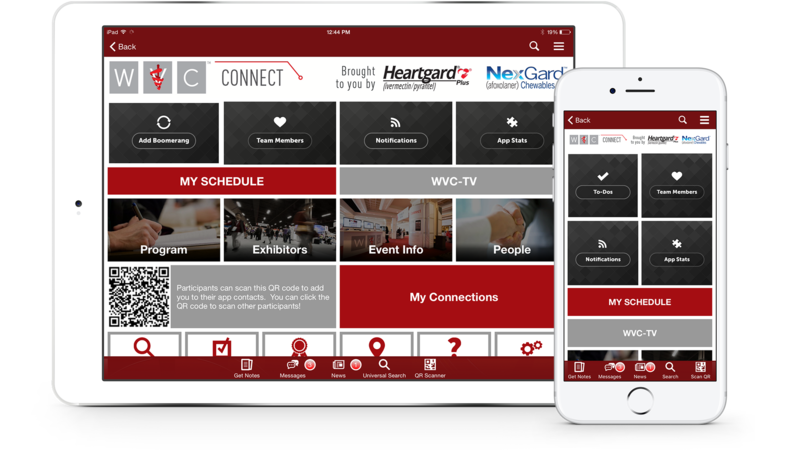 Meeting planners can view event data in real-time and react accordingly with powerful tools for communicating with attendees, vendors, and speakers using enhancements embedded throughout the app. These enhancements give planners direct access to contact information for attendees, speakers, and poster presenters, as well as real-time analytics on mobile app usage and speaker activity at the event. Vendors and staff that work at the event can access a shared contact list, and can connect with anyone on the list by text message, phone call, or email. Speakers receive speaker ready room details, a personalized presentation schedule, and access to audience questions that have been posed for their presentation(s). They can use the app’s QR code scanner to check-in to the speaker ready room and to log in to a laptop to edit their presentation materials. See a presentation of how it works here. Enhanced presentation profiles give full access to logistical data like audio-visual needs, room setup, and food and beverage orders. Meeting planners use a shared in-app to-do list, and can take photos and notes on presentations. All of this data connects with CadmiumCD’s data management system, the Conference Harvester, so that changes made onsite update any eventScribe products, including Conference Apps, Websites, Speaker Ready Room Software and Digital Signage. 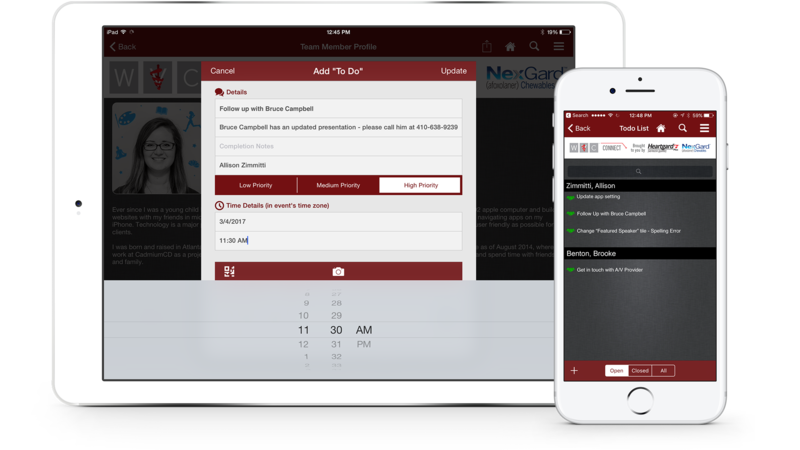 When a speaker cancels, or when there is an unexpected problem with the schedule, meetings planners can now mobilize their staff instantly to make appropriate changes to the schedule. This deep integration between the mobile app, logistics orders, contact information, and registration data is achieved through CadmiumCD’s vertical product offering. With the CadmiumCD platform, a meeting planner can manage education, expo, and attendee data through one integrated dashboard. To learn more about eventScribe Boost™ and the CadmiumCD Platform, visit http://www.eventscribe.com/boost or contact CadmiumCD directly at info@cadmiumcd.com, or 410-638-9239. NORWALK, Conn., March 2, 2017 – etouches, a top global provider of cloud event management software, today announces the acquisition of Loopd, an enterprise SaaS start-up that enhances attendee experience through data-driven technology. This acquisition complements etouches recent pivot to a data-driven approach to enhancing clients’ event success, and further positions etouches as a full enterprise solution. An award-winning product, Loopd differentiates itself from competitors by focusing on the user experience and design, helping to drive engagement further at events. The product’s flexibility is also one of its admirable qualities, making it easy to configure the onsite set up of data collection, session tracking or data and contact exchanges. The solution will be integrated over the next few months into etouches existing platform and event performance solution, offering clients the most robust product on the market for event engagement and benchmarking. The Silicon Valley based company was founded in 2013 by Brian Friedman, a Millennial entrepreneur who wanted to change the way that engagement and networking happened at events. Raising over $2.5 million from international angel and seed fund investors, like Salesforce CEO and founder Marc Benioff and venture capitalist Tim Draper, Loopd has created a unique product that meets the needs of event planners today. 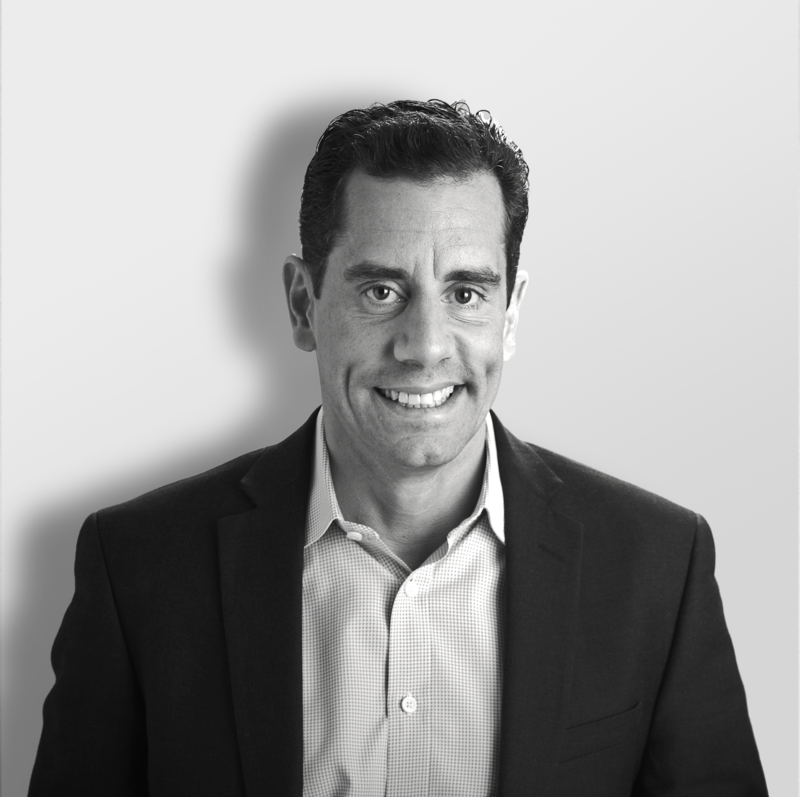 As part of the acquisition, Friedman will join the etouches team as Director of Product for Mobile, Data and Engagement. He will lead product direction at etouches, creating product roadmaps, developing user experience systems, and managing all technical and design teams for mobile, data and engagement products. The remainder of the Loopd team, including co-founders Sambhav Galada and Allen Houng, will also join etouches and the company will continue to grow the workforce. etouches is a global end-to-end event management software solution. 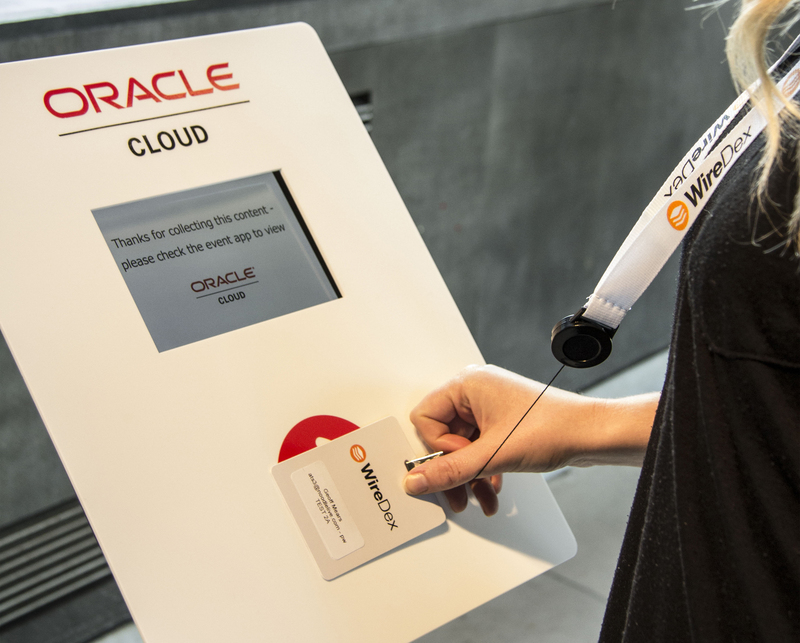 The success oriented and cloud-based platform delivers innovative technology solutions to streamline the event process and increase ROI. Founded in 2008, etouches has assisted over 25,000 event professionals in planning, executing and measuring their events. With a focus on event sourcing, registration, marketing, logistics, engagement, mobile and data, the software platform serves more than 1,300 customers including leading corporations, associations, agencies and educational institutions globally. Headquartered in the United States in Norwalk, CT, the company also has offices in Orlando, Florida and five global offices in the United Kingdom, Belgium, Australia, UAE, and Singapore. Learn more at etouches.com. Loopd Inc. provides physical intelligence to corporate events. We help corporate marketers learn how people interact with each other, with the company, and with the company’s products. The Loopd relational analytics solution is the industry’s only bi-directional solution that enables the exchange of content and contact information automatically while gathering rich analytics data so that marketers have a more sophisticated understanding of their most valuable business relationships. To learn more, visit Loopd.com. Westport, Connecticut, February 22, 2017 Swoogo is proud to announce today the launch of Swoogo Mobile, now making it easier than ever for customers to offer their critical event information on the go. Designed as a seamless integration with Swoogo’s desktop application, Swoogo Mobile takes the same ease-of-use approach as the company’s main product, allowing users to create their unique event app with the same highly-intuitive functionality that customers already know and love. Features like the highly coveted drag-and-drop widget tool are present in the new mobile app builder, allowing users to quickly add functionality like registrant lists, schedules, twitter feeds, speaker lists, and more. Just like users can preview what their event site will look like on a phone or tablet from the web application, a quick download of the preview app allows users to get an immediate idea of what their event will look like on Swoogo Mobile. The news packs extra punch for users running small events that wouldn’t typically justify a stand-alone app. With Swoogo Mobile, it’s possible to create a single app that houses many events, allowing registrants to easily select the offering that’s most relevant to them. By using a single app to support multiple offerings, the cost per event is significantly reduced and the opportunity to have a mobile app is democratized. The announcement of Swoogo Mobile comes on the heels of a plethora of other exciting news out of the fledgling event software company. Just this month, Swoogo realized $1M in total revenue, an achievement that came at nearly unprecedented speed for the less than two-year-old company. Swoogo has also proudly announced their participation and leadership in the Event Tech Tribe, a seamlessly networked set of event tech companies working as an integrated solution to offer customers a one stop shop for best-in-craft event products.